Dressing up in comfort has never been easier, thanks to chic sneakers that make suffering in uncomfortable heels totally optional. 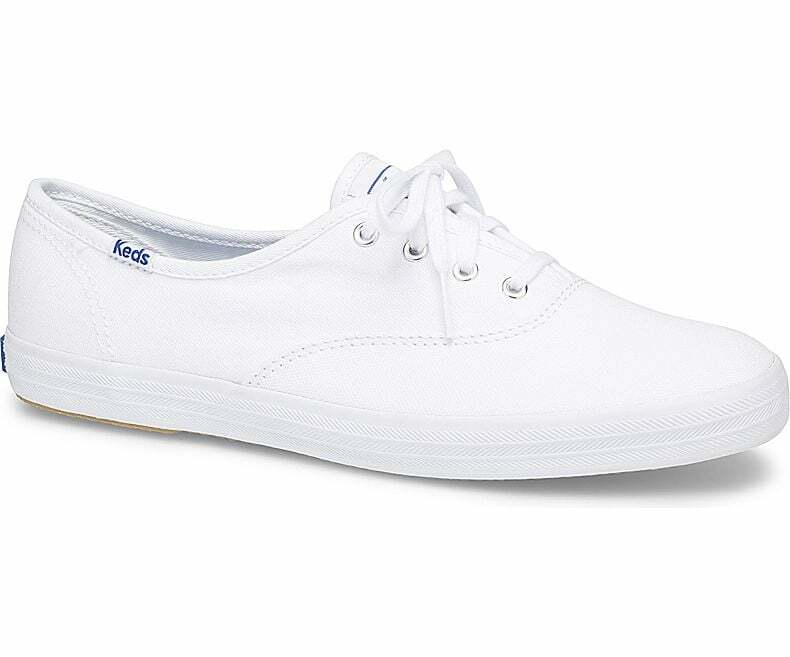 We teamed up with Keds to prove just how versatile sneakers really are. Gone are the days of suffering in painful shoes. After all, when it comes to dressing for the occasion, no other footwear option checks all the boxes quite as effortlessly as a sneaker. No longer reserved for casual dressing — or the gym, for that matter — sneakers are officially date night and office appropriate, and we've created the irresistibly chic looks to prove it. The below sneakers are so elevated and dynamic, you may just find yourself on an indefinite stiletto hiatus. No matter where you’re headed, from work to girls' night, a sneaker will undoubtedly take you there in comfort and style. So go ahead, swap your pumps for sneakers with confidence, and instantly take your wardrobe to new heights. It really is that easy! Project a chic, laid-back vibe on your next dinner date by rocking standout sneakers that are just as stylish as they are comfortable. Whether your plans call for a casual dress code or a dressier one, these versatile leather kicks will ensure you show up on-trend and in comfort. Edgy with a feminine twist, not only are they super wearable and easy (hello, slip-ons), they'll help complete any look you throw at them. We love them especially paired with an adventurous print. Trust us, pumps and blister-induing flats are not necessary for pulling off a polished work ensemble. When opting for a business casual vibe, there's only three sneaker rules to live by: keep them clean, neutral, and minimal. You can never go wrong with sleek white sneakers — they're the ultimate wear-with-anything shoe. Playful yet sophisticated, this totally work-appropriate look is fresh and modern while remaining sophisticated. 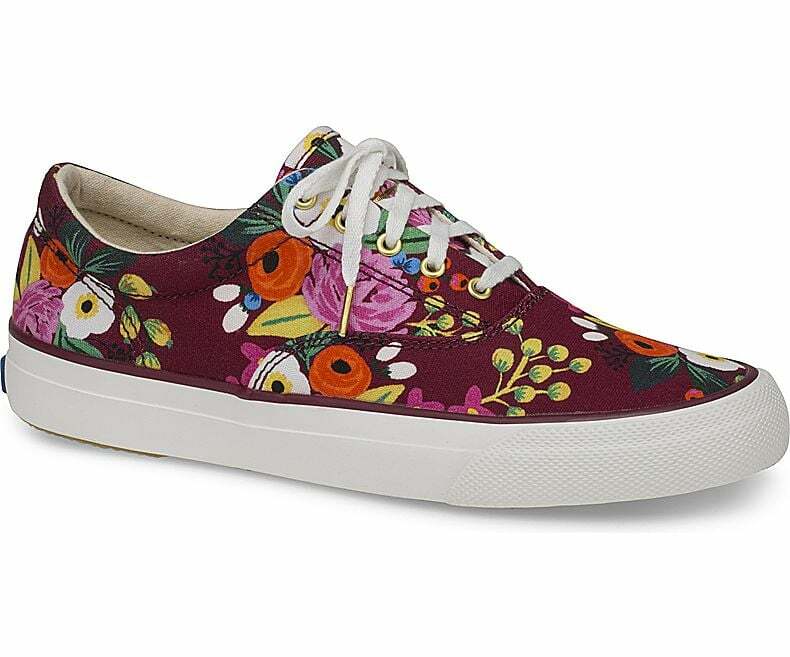 And when your daily kicks are this cute and comfy, there's no need for commuter shoes! Feel free to dance the night away or go where the evening takes you in a metallic pair of sneakers that won't leave your feet in tears. Statement-worthy, stylish, and completely party-ready, these kicks outshine an uncomfortable pair of dress shoes any day. Pair them with your favorite party dress and finish the look off with eye-catching jewelry. Just beware: Once you take these beauties for a late-night spin, you may never go back to your going-out heels again! Mastering effortless day-to-night styling can be tricky. But it's versatile sneakers like these that make dressing for the unexpected a total breeze. 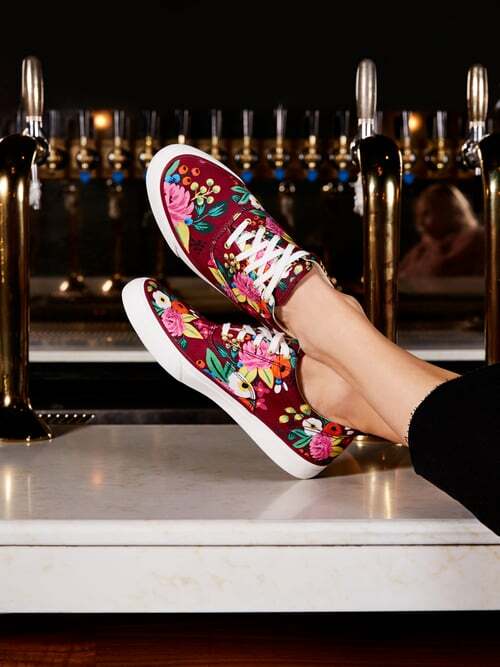 While poppy and cheerful, these floral shoes are also bold and elevated, aka the perfect combo for easily carrying you from brunch to happy hour. To make them even more adaptable, team these sneakers with dark solids and statement outerwear for a feeling that's special yet still grounded.